The beginnings of Valkenrag date back to 2006, when two metal maniacs from Tomaszow Mazowiecki created a studio project. The first demo – ‚Nordwind‘ was recorded in 2008 and an EP entitled simply ‚Valkenrag‘ followed in 2012. Both efforts were recorded at the musicians homes. After a few years the only original member still in the band was Lorghat , who changed the studio project into a full fledged band. In 2015 Art Of The Night Productions released Valkenrag’s firstLP – ‚ Twilight of Blood and Flesh‘. The album was well received both in their home country and abroad. Till mid 2017 Valkenrag managed to perform at numerous clubs and festivals, sharing the stage with bands such as: Unleashed, Rotting Christ, Ensiferum, Taake, Venom, Negura Bunget and many more. 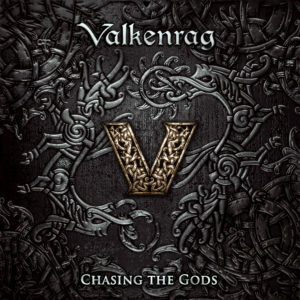 Valkenrag released their second longplay called „Chasing the gods” on October the 3rd, and started promoting their newest creation. The Polish part the of tour „Northern Forces Assault” contracted of 13 shows played as coheadliner with Welicoruss. May/June 2019 brings more shows, and „Chasing the gods Tour” played in many different cities in europe. Valkerag’s music can be labeled as melodic death metal with influenced heavily by Slavic and Viking beliefs, myths, sagas and heroic tales. The band was on occasion called the Polish Amon Amarth however black metal and folk influences are noticeable in their music as well.